Remove stubborn mess with the hydro-easy clean system which helps to easily remove fat and food particles. By adding water to the bottom of your oven, the system will generate steam for a thorough clean. You can also reach trickier spaces by fully removing the inner door glass. There's no need for tools and you can wash your door glass at the sink rather than kneeling down to reach. Whether you're baking, roasting or defrosting you can expect great results when you choose from the eight oven functions which include conventional heating, fan assisted heat, a defrost setting and more. You can also prepare deliciously crispy meats and vegetables under the integrated variable grill, which allows you to enjoy a greater variety of dishes. Prepare you meals efficiently and make savings on your household utility bills as this oven offers an A energy efficiency rating. 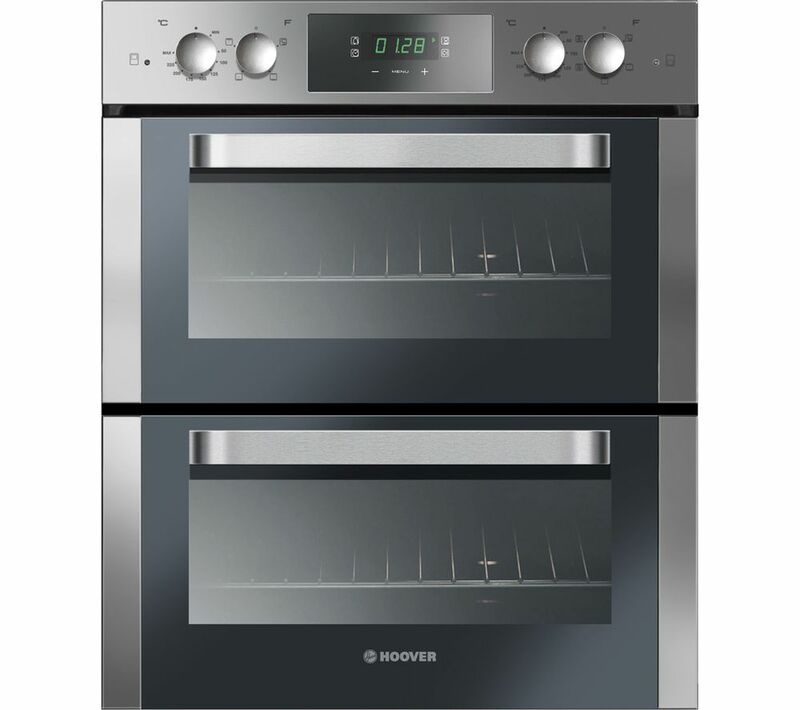 Cooking meals for small families and couples is also easy with this Hoover Built-under Double Oven with an ideal 82 litre total capacity. The shelf fixings are poor. Top oven the right hand side rack has fallen off 3 times, in 3 days. Obviously this happens when the oven is hot so you can't fit it back without burning yourself.